Public Service of New Hampshire (PSNH) was formed in 1926 when several local electric, traction and light companies combined. The new company had sufficient properties in the southern and western parts of New Hampshire and enough contacts to the east and north to create a statewide system. The early years of PSNH was not limited to just electricity; the company also dealt with gas, electric railway, and steam. But as the use of electricity overcame that of gas, the company’s gas business was sold in 1945. The company’s steam business, which had always been small, was sold in 1949. The railway business was also sold, in 1954. As electricity became more widely available, the residential customer usage increased. In 1928, the average household was using 296 kWh annually; by 1931 that number increased to 429 kWh. Construction of rural lines also increased, from 23.3 miles in 1927 to 99.5 miles in 1931. The company continued to expand throughout both the Great Depression and World War II. In 1945, the average New Hampshire household was using 1,012 kWh annually. Electric stoves, refrigerators, irons, water heaters and other appliances were being widely purchased and about 83 percent of farms were electrified. Expansion continued in 1948 when PSNH built the Schiller Plant in Portsmouth and the J. Brodie Smith hydroelectric plant on the Androscoggin River. This brought the company’s total number of hydro plants to 32 and fuel-burning plants to 6. However, over time, the company stopped utilizing many of their hydro plants because of the unreliability of rivers. By 1973, 41 plants had been retired and the large and efficient steam plants were introduced. The following years led to more growth as well as financial hardships. In early 1988, PSNH filed a voluntary petition for reorganization under Chapter 11. About a month later, Northeast Utilities announced interest in acquiring PSNH. After long negotiations, an agreement was made at the end of 1989 and PSNH became a wholly-owned operating subsidiary of Northeast Utilities in 1992. In 1995, PSNH became the first power company in the nation to reduce coal power-plant emissions with Selective Catalytic Reduction pollution control equipment. The new system was so successful, it helped New Hampshire forgo automobile emissions testing and control required in many states. The company also became an environmental leader when they initiated the “Gazing Power Project” in 1998. The project used sheep to reduce the vegetation under power lines within PSNH transmission rights-of-way. Today, PSNH services about 500,000 homes and businesses throughout the state. The company is comprised of three fossil fuel-fired generating plants, one wood-burning power plant and nine hydroelectric plants. Together, these facilities generate more than 1,110 megawatts of electricity. About 21 percent of the energy supplied by PSNH comes from renewable sources; this is one of the highest percentages of any major utility in New England. PSNH is currently in the process of upgrading the substation that serves the Londonderry/Derry region. Located near Scobie Pond, the electrical distribution station will undergo a complete rebuilding as well as the addition of power lines. Updates to the 1960’s-era substation include installing two 30-megawatt transformers, installing new equipment to reduce animal-related outages, and increasing the capability of the substation to feed five distribution lines, with ability to add a sixth. 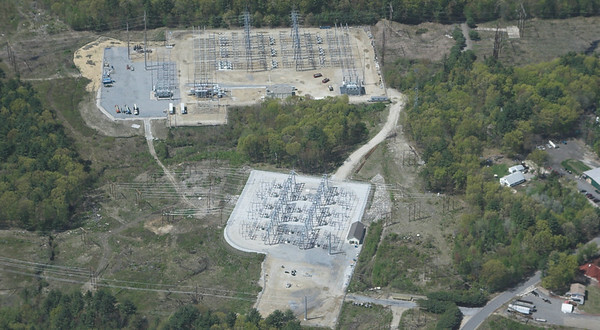 The Scobie Pond Distribution Substation is intended to server about 4,500 PSNH customers and about 1,400 New Hampshire Electric Cooperative customers, primarily in the town of Derry. 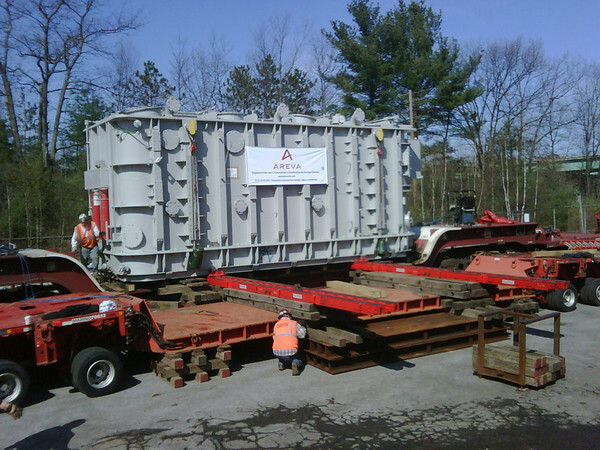 The first transformer was anticipated to be in service in June of 2011, with the second following closely towards the end of 2011. To learn more about PSNH, visit their website.